I have some really exciting news to share! 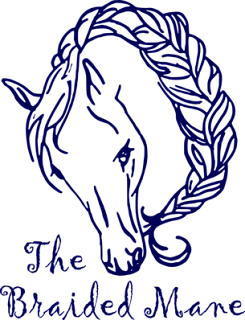 I'm the newest ambassador for The Braided Mane, a really cool little equestrian shop run by an awesome fellow equestrian (who just happens to also own an Thoroughbred mare - my type of people). 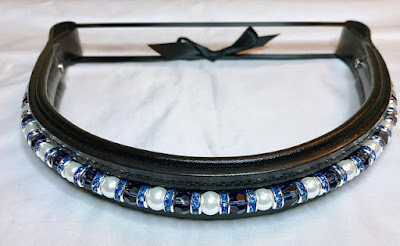 They have really cool products, such as custom embroidered saddle pads, boot trees, and crochet goodies. I have already placed my first order and so will be sure to review their products once they've arrived. One of the coolest parts of being an ambassador is that I get to share a discount code with all of you. If you'd like to receive a 10% discount at The Braided Mane, just use my code ZEA10 upon checkout. I am a December baby, so this time of year is when I get all of the presents at once. 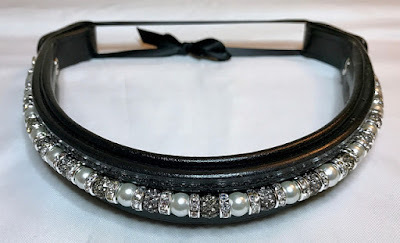 Since I am the only equestrian in my family, I get the feeling that they never know quite what to buy me and so I usually get a request to make a wish list. While it seems a bit silly to publicly post such a list, I actually really like reading other people's wish lists, and so figured I'd join in. So without further ado, these are the things that I am coveting this holiday season. 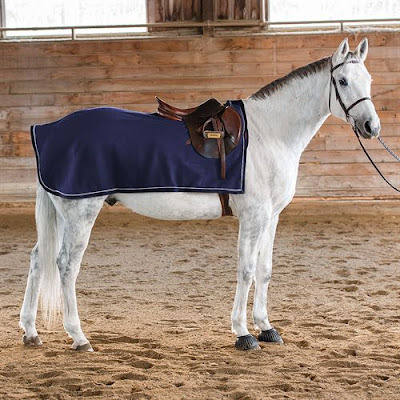 Now that Casey is clipped, I feel that it would be appropriate to have an exercise rug to keep her a bit warmed during the warm-up part of our ride. It's getting cold, so this would be the time to do it. I really like this one from Dover, because it has nice colors, is simple enough, and is affordable. I don't need an expensive or fancy exercise rug, so this would meet all of our needs. Long story short, when I lived in South Korea I was new to this whole real winter thing and so jumped into a pile a slush, not realizing that slush meant it was liquid beneath the snow layer. Pretty sure I had mild frostbite in my toes as a result, because I had to the walk around with wet, frozen feet for the next few hours. Ever since my feet have been extremely reactive to the cold and they literally hurt when I have to be outside for extended amounts of time. 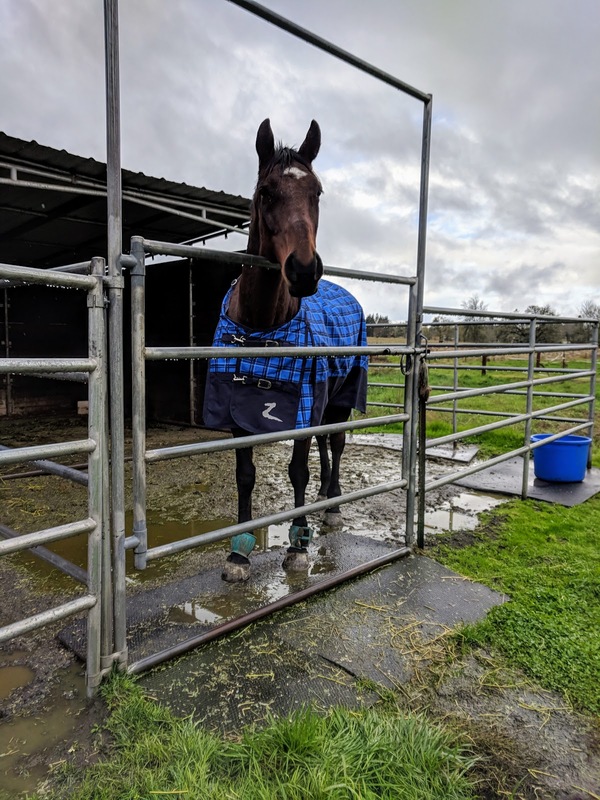 My barn boots are usually just my Hunter tall rain boots, because I live in wet Oregon, but rain boots don't really cut it in the dead of winter. I think it's high time that I own some actual winter boots. It would also be ideal if they are waterproof, because again, rainy Oregon. There are a few pairs that I really like. Dover has two styles that are their in-house brand, Middleburg. 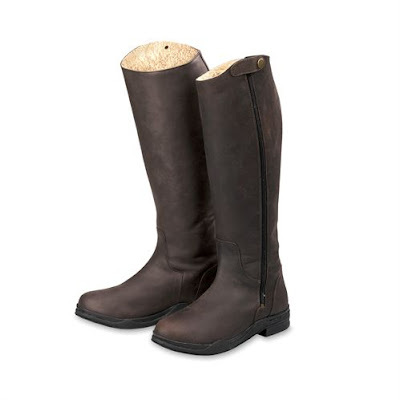 My black field boots are Middleburg and I love them, so I'd give these a chance. 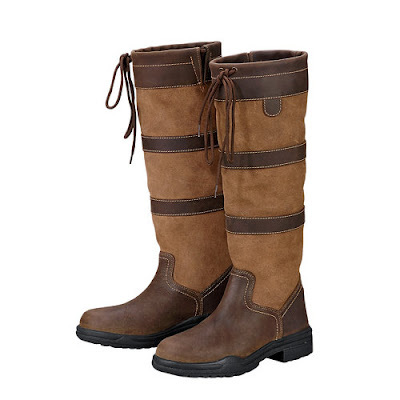 I also really love the look of the Ariat boots. They are gorgeous. Of course their beauty makes me question if I would actually use these as barn boots or if I'd be tempted to preserve them and only casually wear them. I already own a girth, but it's not the fanciest thing in the world. 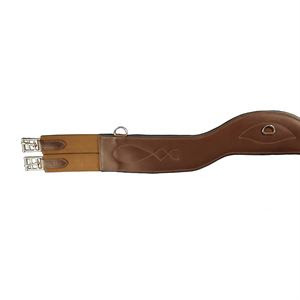 I'd really like a leather girth that is a bit fancier and I'm really a fan of girths that offer shoulder relief. 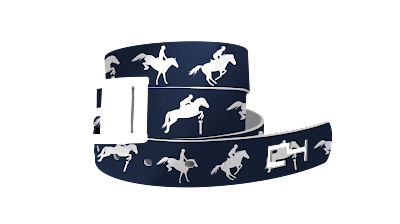 I've read reviews about this girth and people (and their horses) really seem to love it. 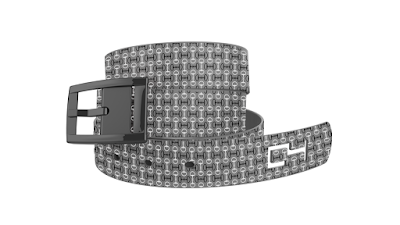 So while a girth isn't the most exciting thing in the world, it's on my wish list. I already bought myself a birthday present, which is my Ogilvy pad. I had been wanting one for a while and my job sent me to a training that I got paid extra for, so that's what I spent that money on. I'm pretty excited about it and will post a review once it's here and I've gotten to test it out for a bit. There are some other things that I would like, such as a show coat (in navy), a crop of my own (because I literally do not own one), and a half pad cover for my Ogilvy pad (which is getting here on Wednesday!). 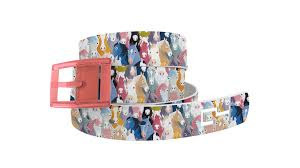 I'd also really like a Fitbit Blaze, because I've heard from other equestrians that it is the best fitness tracker for our sport, but that's on the pricey end of the list and so I'm not really expecting anybody to buy that. There are also some things that I did not put on my wish list, because I'll probably buy them for myself depending on the holiday sales this year. I'd like some new all-purpose saddle pads and maybe some more riding clothes. At some point I'm going to have to replace Casey's turnout blanket, since last year she ripped a hole in it. I think I might have saved myself some time on that though, because I repaired it over the summer and think it should hold up just fine for at least another winter. I'll just kind of see what the deals are and if there's a great deal I'll buy some more stuff. In my lesson this week, I was not able to get any media (boo) but it was a great lesson and so I'm going to write about it anyways. 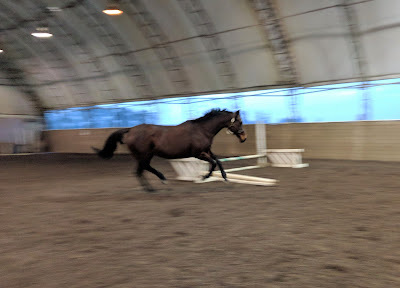 No photos from the lesson, but here is my horse sticking her tongue out at me :P.
Trainer had us start the lesson with some basic trot work. Nothing fancy, just bending circles and a bit of transitions between the walk and trot. She didn't give a ton of input for this, mainly because it was going really well. Casey is finally starting to really "get" the idea of self-carriage. It is not at all consistent yet, but in the past week or two I've noticed moments where I can feel that she is truly holding herself correctly without my assistance. I don't really know what that looks like from the ground (although I can imagine), but I can feel the moments when they happen. 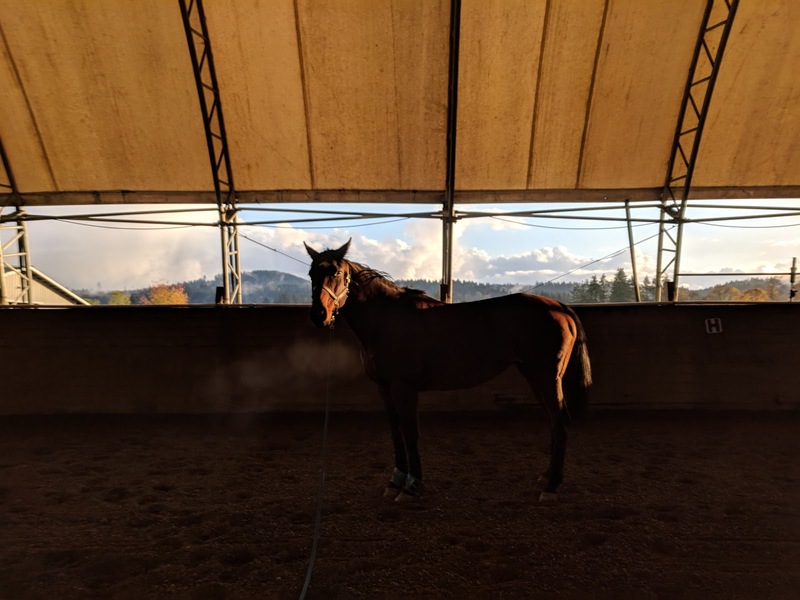 It feels like all-of-the-sudden she becomes super light in the bridle and floaty in her movement (watch the video to see evidence of this from our hack earlier in the week). I'm sure that it looks as good as it feels and so I'm dying to get somebody to come take photos of us to try to capture it. 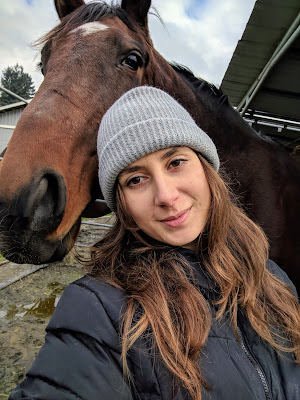 Trainer said that it's ok that right now it's just moments when that happens, because Casey is still building strength, and that the key right now is to try to connect those moments. Eventually the goal would be to have true self-carriage for an extended period of time, not just those little moments. The one piece of feedback Trainer gave me was that I am relying too much on my leg at this point at the trot. She encouraged me to stretch my leg down long and to only use it occasionally to help the bend. The reason being, if you use leg all of the time, your horse becomes dull to it. She's completely right and that is something that I've been noticing about myself, so I'll just double my efforts to correct that. I think it is a result of trying to be less reliant on my hands to get a bend, but I went too far the other way! After trotting, we did some basic canter work of just going around on the rail. Again, Casey was being a star, so Trainer didn't give any corrections. Trainer commented that my leg is great at the canter, super stable and strong, and that I should try to get that leg at the trot. This piece of feedback actually meant a lot to me, because for the longest time my leg at the canter was my Achilles' heel. My inside leg used to slip a lot and I definitely wasn't secure, so it feels to hear that Trainer thinks this is now one of my strengths. 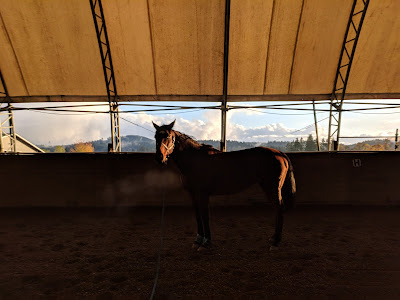 Also, it was helpful because I know how my leg feels at the canter, so once she told me to aim for that it was really easy to correct my leg at the trot. After the flatwork, we started on the jumping. Trainer had us start with a single outside line consisting of a crossrail and a small vertical. She had us do trot in to both jumps, meaning I would have to pull Casey back from a canter in the space between the jumps. This was fairly easy and so after a few times we did the line trot-in, canter-out. Then we switched to the other outside line which consisted of two cavaletti (about a foot in height) and did trot-in, trot-out for that line. Although this line was coming home, Casey still stayed together and it was easy to get the trot back after the first jump. 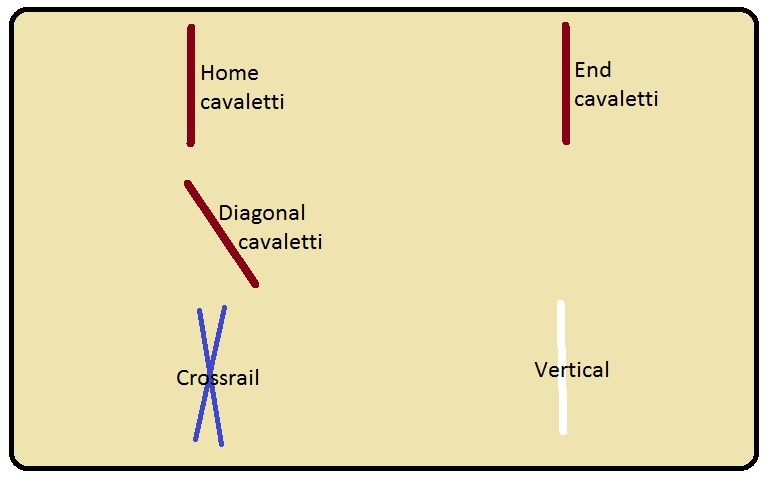 We did this line a few times and then we did a mini jump course consisting of the two outside lines (crossrail-vertical then end cavaletti-home cavaletti) followed by the diagonal line (diagonal cavaletti-end cavaletti). The trick to the course was Trainer wanted the line coming home to be trot-in, trot-out while the other lines were trot-in, canter-out. It's obviously a bit harder to get horses to slow coming home so it was a good challenge. The course rode really nicely. Casey stayed calm and responsive the whole time. She was so mellow going into the line coming home that she didn't even jump the end cavaletti, just kind of hop/trotted over it (knocking it very slightly) and so I didn't even have to get the trot back, because she just kept it in the first place. The diagonal line rode very well and she jumped the end cavaletti BIG (I think she was offended that it had "hit" her the time before). Trainer asked me if I wanted to keep going or end on that and again I opted to end a bit early. 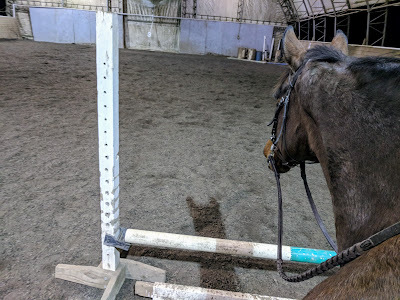 The lesson was only 45 minutes instead of a full hour, but at this point with Casey, if she is being good, trying hard, and keeping her head on straight while jumping, I'd rather jump less. I'm completely terrified of her getting injured again and so don't want to push her too hard all at once. Plus, she was so good the entire ride that she really did deserve to end early. I'm all for ending rides on good notes, even if that means that they run a bit shorter. After the lesson, Trainer and I recapped together. Her main observation was that Casey is being incredibly responsive. She would come back to a trot within a stride or two after a jump (if it was a line that I wanted her to trot-out), which Trainer pointed out means that Casey is listening to my body language before and during the jump to anticipate what I wanted after the jump. We both couldn't stop gushing over how good Casey is being. Really, it's like she is a completely different horse. I know that I keep saying this, but she amazes me every day. If somebody had told me a year ago that Casey would be calm, responsive, and a joy to ride I'd have laughed in their face. There's a reason I got her for a dollar, people. It's because she can be a total impossible-to-work-with diva that just also happens to be a hot Thoroughbred. At this point, I'm just so excited for the future. I cannot wait for the jumps to go up to see how Casey acts then. I hope that she is just as good as she's being now, because we'll be able to do amazing things if that is the case. 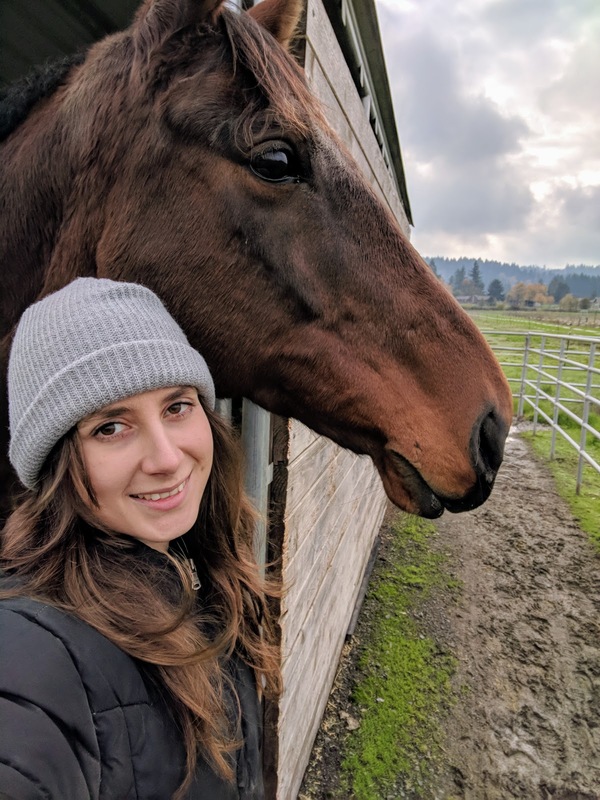 Also, I think I might try to get one of my riding buddies to try riding Casey, because I'm really curious if her good behavior will carry over with other riders. I would imagine that it would, but I don't know how much of her behavior is impacted by our relationship. Having somebody else ride her would be the ultimate behavior test. This is the second post about this trip, so if you missed the first post, go check that out first! The following morning, we woke up relatively early and drove to Bellevue. We got breakfast at Gilbert’s Café, which was delicious, but also the most expensive breakfast I think I’ve ever eaten and then went to Olson’s Tack Shop. Olson's was a really nice shop, but definitely was geared towards wealthy equestrians. The only “cheap” equestrian clothing brand that they had was Kerrits, which isn’t even really one of the cheapest brands. There were lots of Ariat, Pikeur, and Dubarry products if that tells you anything about the type of shop it was. Even though I couldn’t afford much of anything there, it was fun to browse. The coolest part was that apparently Olson’s makes custom boots! I did not know that, but thought it was awesome. 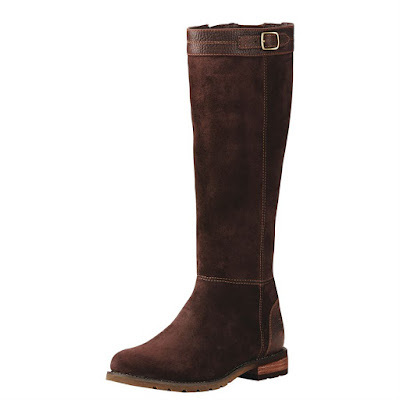 Maybe someday I’ll have enough money to order custom riding boots, right now I’ll just dream about it. 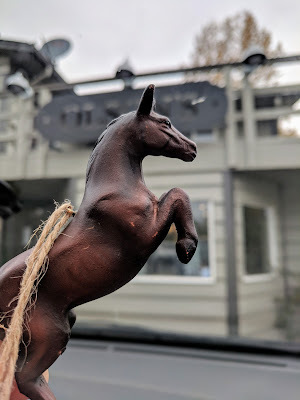 I did end up buying one thing, a really cute little horse Christmas ornament. It’s a bay horse jumping, so of course I had to buy it. Plus, it was probably the cheapest thing in the shop at only $10. 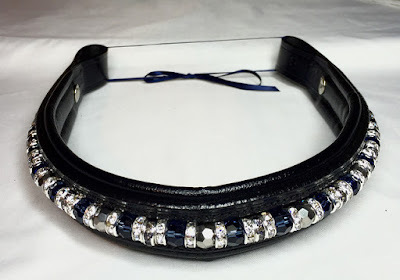 Once we went to the tack shop for me, it was time to do something fun for Jin. 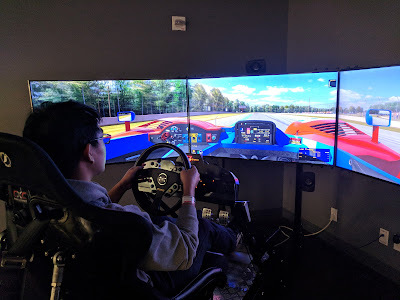 We ended up going to the American Car Museum in Tacoma. 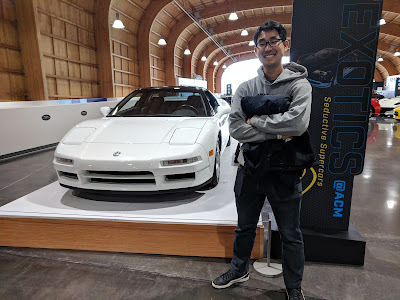 It was a lot for a non-car-person to take in (four stories of cars), but it was like Jin’s heaven on earth. They had all three of his favorite cars: the Porsche Carrera GT, the Ford GT, and the Mercedes SLS AMG. He probably thought he was in a dream! After the car museum, we drove back home. 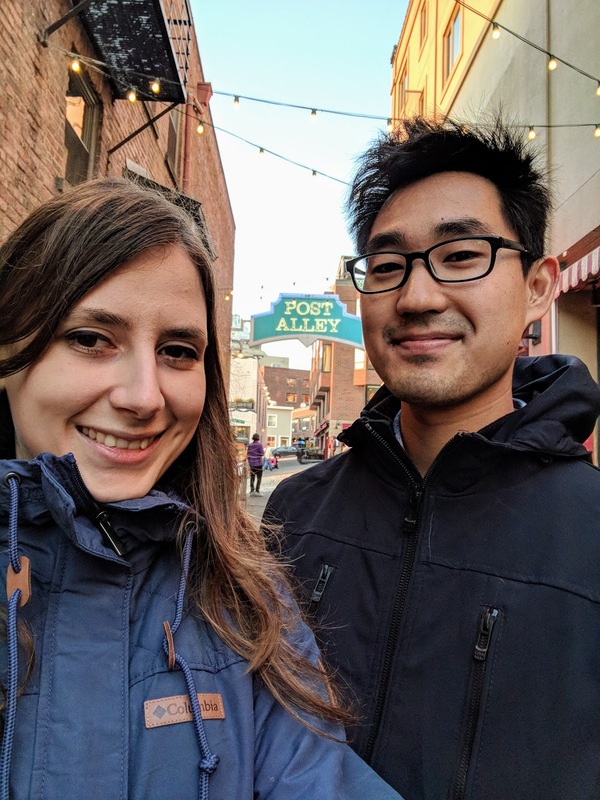 It was a short trip, but it was nice to just get away and spend quality time together. We are both so busy right now that having two days of only giving attention to each other seems like a gift in itself. I don’t tend to write blog posts that are about my personal life. 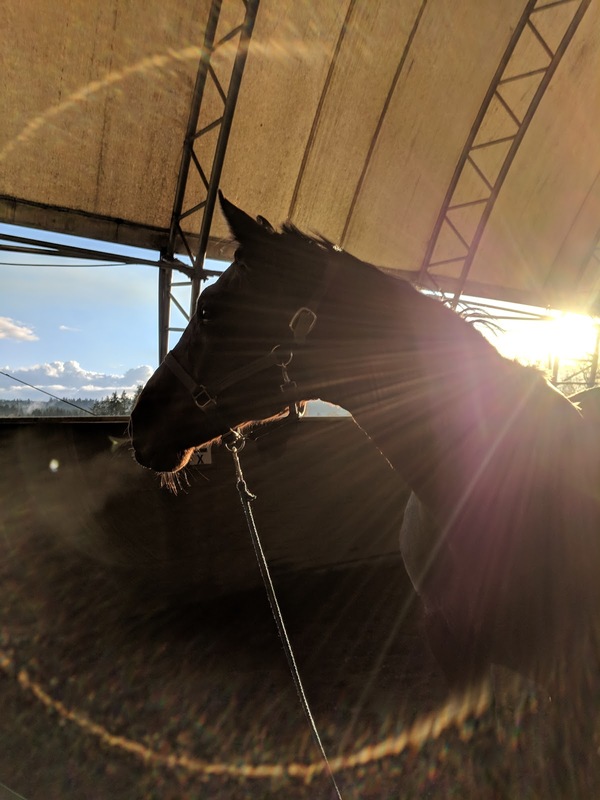 I write about my thoughts and feelings all the time, but they are all focused around my horse. That being said, this weekend was really special to me, and so I want to write about it. So, my apologies for the people who only want horse content (there is some, I promise!). 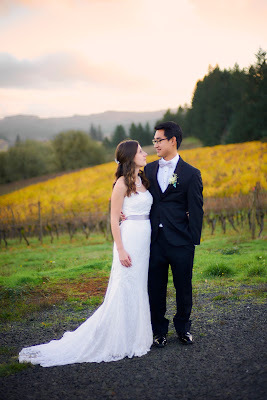 This weekend was my and my husband’s first wedding anniversary. Our first year of being married has been great. It sounds so cliché, but he is the rock in my life. We have been together since high school, so we’ve grown up together. We’ve been by each other’s sides through the difficult process of becoming adults, and all of the struggles that accompany that. He is so supportive and loving and is my best friend. I cannot imagine life without him. Alright, I won’t get too gushy, I’ll get on with the real story which is our anniversary trip! 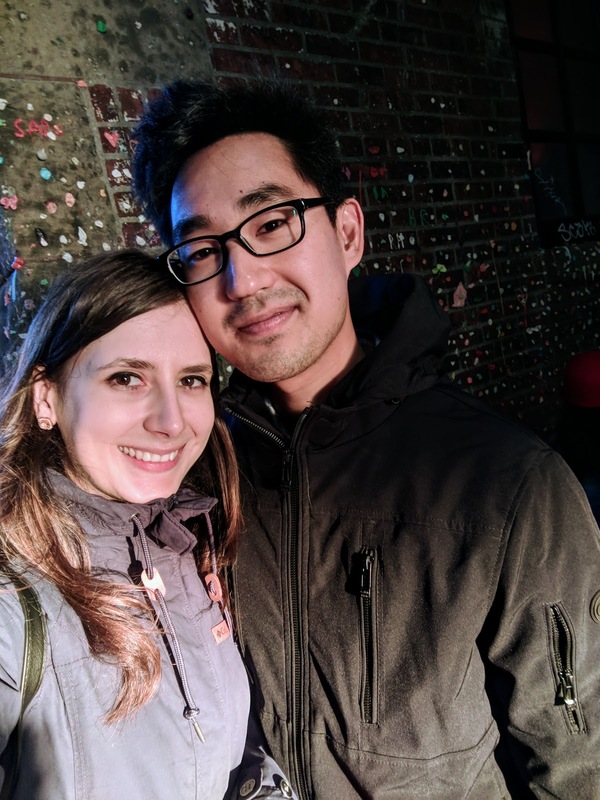 We managed to have the foresight to get married the same weekend as Veteran’s Day, so we’ll always have our anniversary on a three-day weekend. 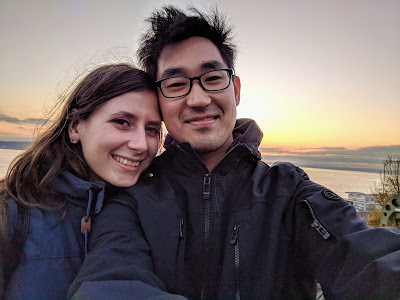 We decided to celebrate by going on a short road-trip up to Seattle (about a six hour drive for us). We both grew up living overseas and so one of our favorite things to do is go to a new city together and just explore. 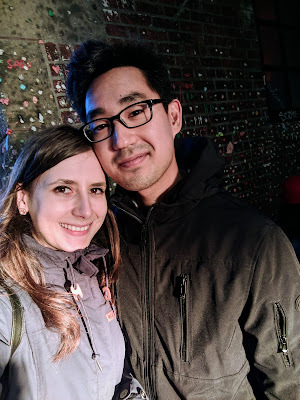 We had never gone to Seattle together and since it was close it was a logical choice. We drove up on Friday morning. 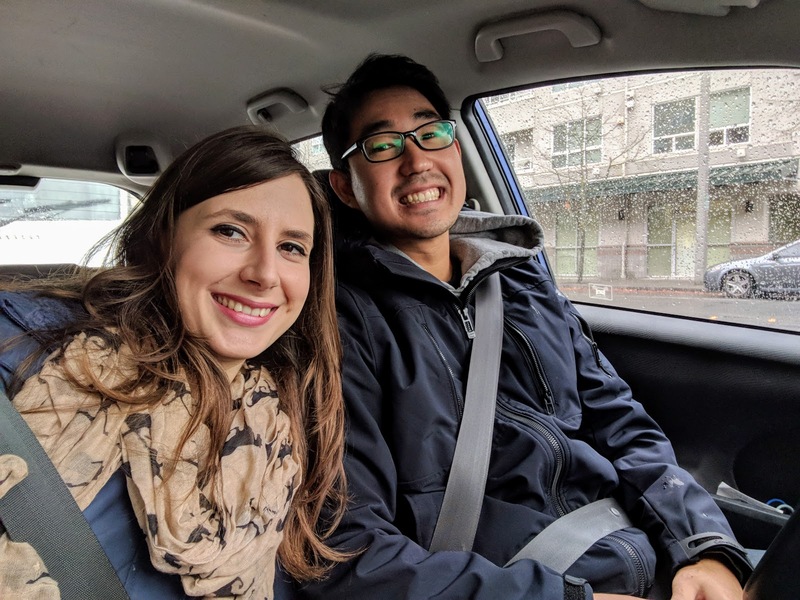 Jin drove, since he loves to drive, and I hate it. It was an easy drive up, we hit very little traffic and we arrived at our AirBnB around noon. We dropped off our bags and then immediately went to the Light Rail station to catch the train to downtown Seattle. I don’t know how we got so lucky, but the weather was absolutely gorgeous. There was a chill breeze, but it wasn’t cold, and we had solid blue skies. It ended up being perfect because we really just walked around the city all day. We started off by going to the International District, specifically, Chinatown. Both Jin and I have a real love of Chinatowns in major cities. Jin is from South Korea and so misses Asian culture, but additionally he lived in NYC’s Chinatown for a solid year while in undergrad. I lived in China for two years and so think of it as one of my homes. 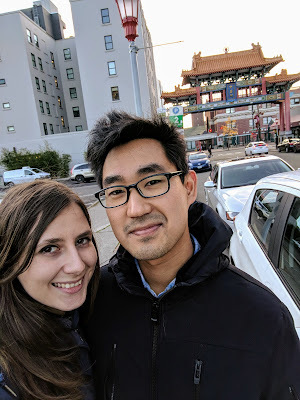 Seattle’s Chinatown was really fun to explore for an hour. It is smaller than other Chinatowns in the US, but there was plenty to see. We started off by going to a little restaurant called Harbor City Restaurant which was a dim sum place. When we walked in, I knew it would be good. There were roasted ducks hanging by the window, the menus and signs were almost entirely in Chinese, and pretty much everyone in the restaurant was Chinese. We got seated and almost immediately a dim sum cart came around. Jin had never been to a real dim sum restaurant and so I had to explain to him how it worked. Yes, you can order food from the cart. Yes, the cart will come around again. No, please don’t eat the leaf that the sticky rice comes wrapped in. Yes, I know what I’m talking about, don’t eat the leaf. It was a novel experience for him, which was fun to be a part of. I have a limited diet (no mammals) and so I ate some things from the dim sum cart, but I had my heart set on Peking duck and so we ordered a half of a duck. If you’ve never eaten Peking duck, then you are missing out. It is by far my favorite Chinese dish. Unfortunately, it is hard to get in the US, and it’s even harder to get good Peking duck. They roast a duck until the outer skin is crispy, then cut it into thin slices. They bring out either steamed buns or little pancake-like wraps, the duck, sliced green onions, and a brown savory/sweet sauce that is perhaps hoisin sauce (I call it the “BBQ” sauce, but it’s not actually BBQ). It is really easy to cook duck incorrectly and so this recipe is easily butchered, but we lucked out. This was excellent duck and I was so excited! After we were stuffed with delicious Chinese food, we knew where we wanted to go next, a Japanese supermarket called Uwajimaya. You guys, if you are anywhere near Seattle, go to this store. It was AMAZING. It was filled to the brim with imported Asian foods and other goodies. Jin and I both lived in Asia, and so it was like a taste of home to be there. We went a little bit crazy and managed to spend a little over a hundred dollars on snacks and small gifts for people, but no regrets! We bought ramen noodle snacks, mochi, Tom Yum Pretz, Japanese sour candies, Jin got three different beverages, adorable little keychains of animals dressed up as sushi, and really cool little Lego-like toys called NanoBlocks. So worth it! Once we had spent too much money at the Japanese market we went took the Light Rail to Capitol Hill where we had the basic idea of walking towards the Space Needle, but really didn’t have a true plan or destination. On our walk we just took in the city and enjoyed the nice weather. 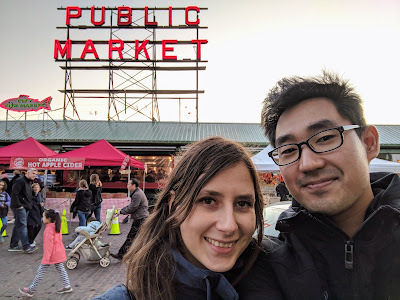 Before we knew it, we had stumbled onto Pike’s Place, so we checked out the market. I hadn’t been in Seattle in literally years, so had totally forgotten how large Pike’s Place was. It’s enormous! Some highlights were watching the fisherman perform their “act” of throwing a dead fish & traumatizing tourists with a fake rubber flounder that appeared to suddenly start moving on the ice, watching the sunset over the water, and watching an artist paint a portrait of a couple. Jin was especially excited when he discovered a model toy shop, so of course he bought himself another model car. 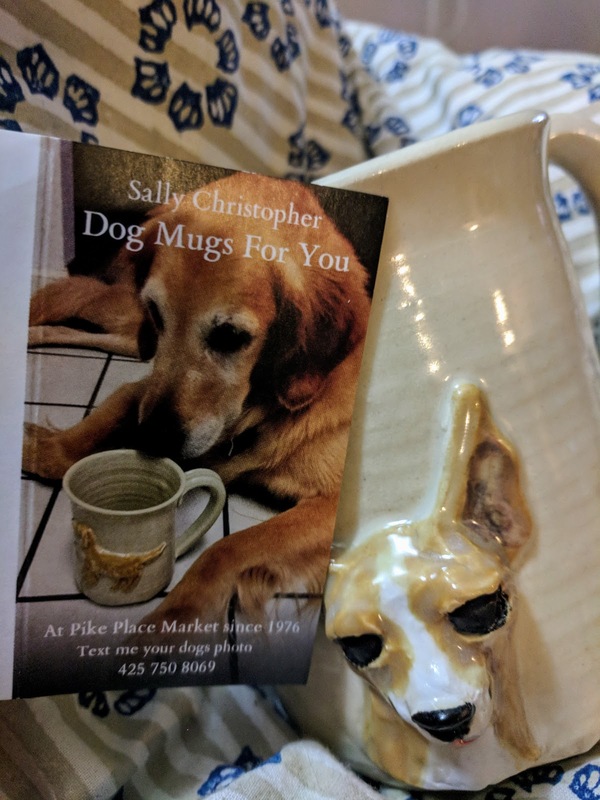 We were walking out of Pike’s Place when I spotted a booth that had hand-made mugs with dogs on them. 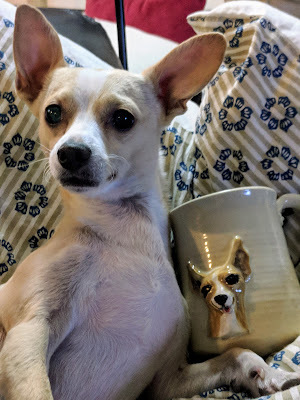 I was just sort of looking, not planning on buying anything, when I saw a mug that had Eden on it! And by “had Eden on it,” I mean there was a dog’s face on the mug that exactly matched that of my dog. The woman was packing up her booth, but I was able to hastily purchase the mug and I’m so excited about it! It wasn’t until we got back to the AirBnB that I checked out her business card and noticed that she is 100% a fellow equestrian. So, if you are ever in Pike’s Place, go find her booth. Us equestrians have to support each other! 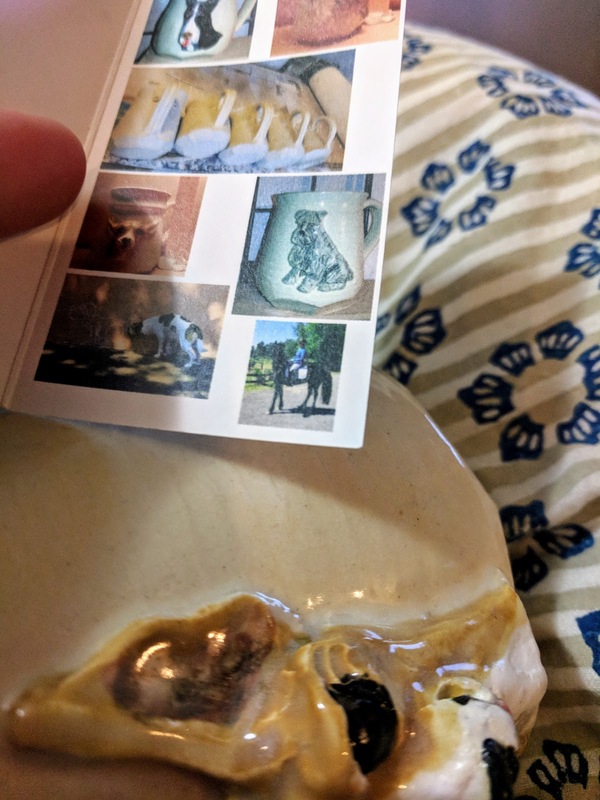 See the tiny horse photo on the bottom right corner? After Pike’s Place, Jin and I continued our walk to the Space Needle. When we finally got close though I chickened out. I am terribly afraid of heights and I saw that the elevator went up the outside of the tower, presumably so that you can view the city as you go up. My fear of height also applies to elevators, especially glass ones, and so I knew that it would freak me out. Jin is the best and so he was ok with not going up. Thank goodness for supportive husbands. On that note we turned around and started walking the other way. On our way to the nearest Light Rail station we found was appeared to be the main shopping district. It was really similar to NY’s Soho, except for, as Jin put it, “so much cleaner than Soho.” We checked out a ritzy mall, but we weren’t really in the mood to shop, so we just walked through and saw the sights before taking the train back to the AirBnB. I broke this post into two to make it a bit more manageable of reading chunks. To read part two click here. I must be psychic. 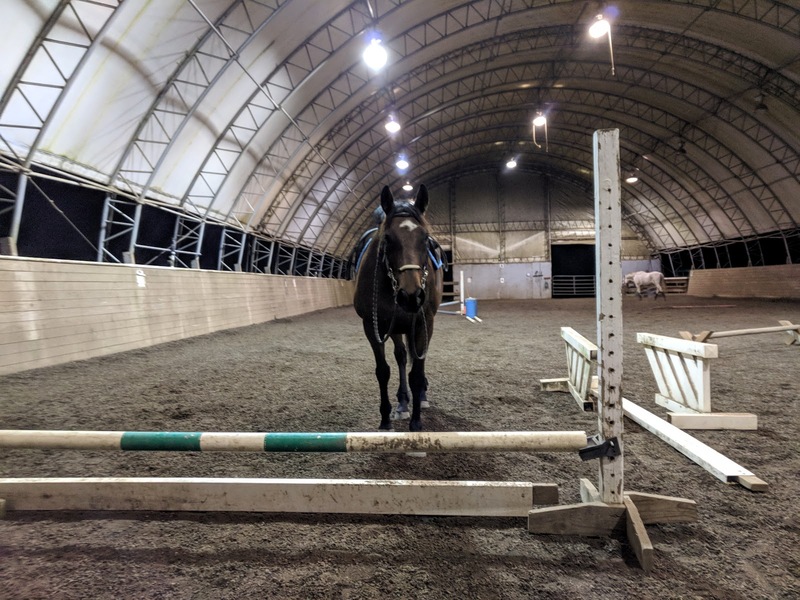 In my last post, while pondering what my jump lesson would look like, I totally said that I thought we’d work on stopping after a jump and lo and behold, that’s exactly what Trainer had us do. 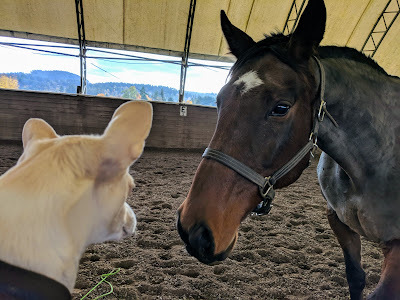 I suppose I shouldn’t be so shocked that I anticipated the lesson though, because I am her assistant trainer and so do have a pretty good understanding of how and why she sets up certain lessons. We started our ride with working a bending trot. Then Trainer rolled out a single pole and had us trot it both directions. She then had us practice stopping a certain number of strides after the pole, starting with 10 strides, then going to 5, then 3. Casey stayed really responsive through all of this and was being very well behaved. After trotting, Casey and I picked up the canter each way. I got a really nice canter from her going to the right (her favored lead) and an ok canter going to the left. She tends to get rushy going to the left because she is trying to compensate for not being as balanced on that side. It’s getting better, but still is nowhere near as nice as the right-lead. A cool new thing that I’m able to do with Casey is to use my legs in the canter to encourage her to get some extra power. 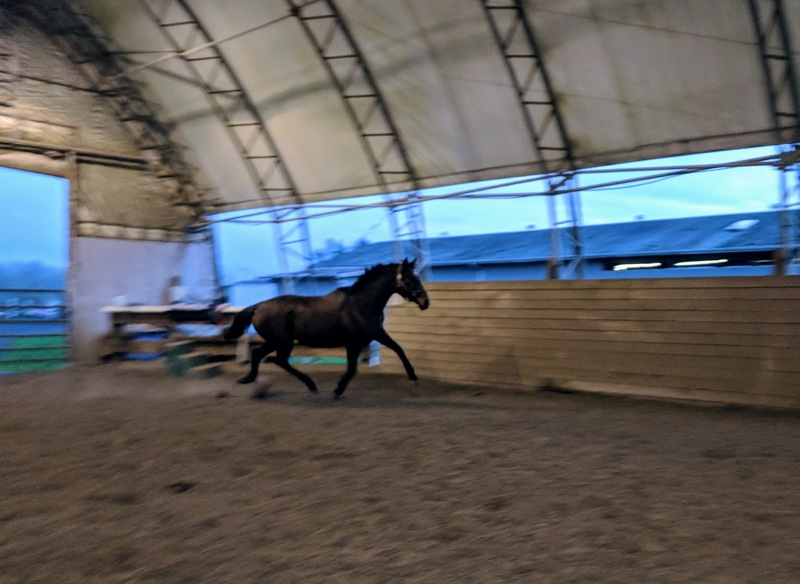 For the longest time Casey only equated leg pressure with going fast and flat, but all of our work at collection at the trot means that she now understands the concept that a slight leg squeeze means that I want her to push from her back end. 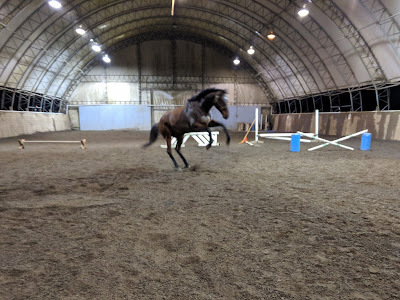 She is able to do this at the canter as well, it’s just not nearly as refined as her response at the trot. 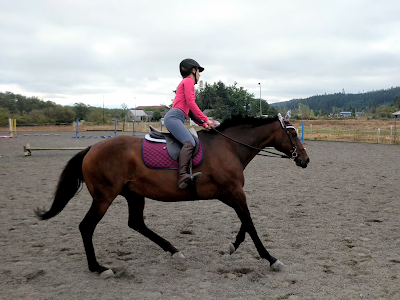 A few moments in our canter set, Casey tried to get flat in her movement and I’d apply the slightest leg squeeze and would get some power back in that gait. It’s kind of amazing to ride! Who knew that she would be able to listen to leg without galloping? After our canter sets going each way, Trainer set up a tiny jump line. The first jump was a cross-rail that was perhaps 9 inches off the ground at the intersection of the poles and the second jump was a tiny vertical that was perhaps a foot and a half off the ground. I believe that it was six strides between the two jumps. Trainer first had us just go through the line normally. The first time through Casey was a bit backed up. She jumped the first jump nicely, but then as we came up to the vertical she slowed her trot and then immediately launched the jump. I honestly think Casey was just confused, because we haven’t gone over a vertical in ages and she wasn’t sure if she was “allowed” to jump it. 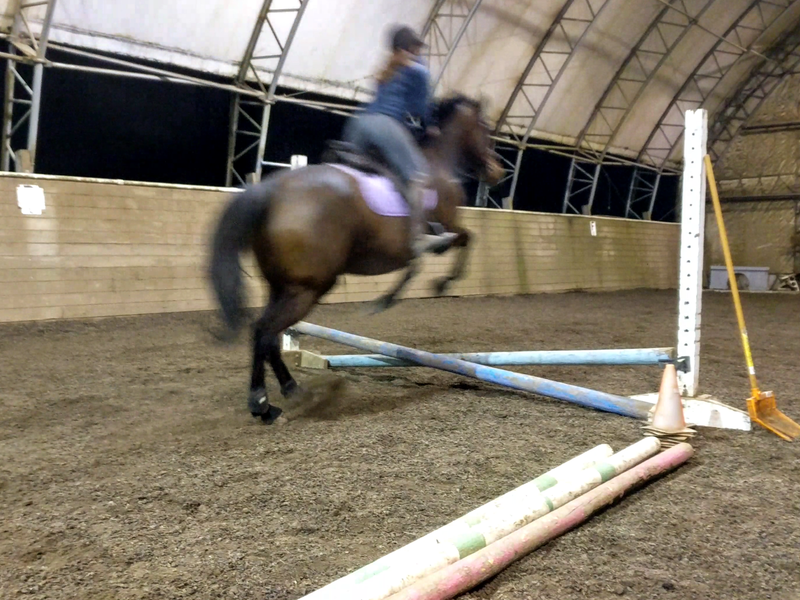 Every other time we jumped it, she jumped it normally, so I guess that first time was just a trial! As we went through the line, Trainer wanted me to focus on keeping a steady rhythm, regardless of the gait that Casey choose. If Casey stayed in the trot, I needed to make it a nice trot that had a steady rhythm. If Casey choose a canter, then keep her in the canter and keep it consistent up to the next fence. If we had tried this activity nine months ago it would have been the suckiest activity ever. Casey used to be really hot to jumps and would NOT listen before a jump. All of our flat training is paying off though, because it was positively easy to get a nice tempo before and after the jumps. Casey was being responsive and so I was able to adjust her even a stride before the jump. We always trotted in, and cantered out and over the second jump. Even though I have no photographic proof, I could tell that Girlie was jumping super cute. Her knees were coming up and she was jumping nice and round. She also was jumping probably twice the height of the actual jump, but let her be excited, she just missed jumping! Since adjusting tempo was proving to be no challenge to us, Trainer gave us a real challenge. Jump the cross-rail and then stop before the vertical. As a reminder, Casey was cantering after the cross-rail, and the striding was fairly short for this, we only had six strides between the jumps. The first time through we did manage to stop… but we ended up right in front of the vertical. A tad sketchy and definitely rough. We tried twice more and each time went more smoothly and we had more space between us and the vertical. The last time through I think we had a full stride between us and the vertical! Although we were able to do this, it was never “nice.” Casey would slow to a trot and then when she stopped entirely she would throw her head down, which managed to jolt me forward every time. I think that this was due to a combination of factors: Casey not having the strength and balance to stop more balanced, Casey being slightly on the forehand after the jump, and I was not utilizing my core enough to counter her weight shift. So things to work on there, but hey, at least we didn’t crash into the vertical! 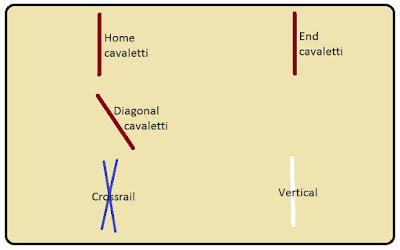 After that Trainer set up a cavaletti alongside the vertical, angled so that it was on the arena diagonal. The first time through I totally misunderstood Trainer and so rode the outside line and then did a bending line of the cavaletti to the cross-rail. It actually rode really smoothly, but was not what Trainer intended. She wanted me to just go over the cavaletti and then ride straight to the wall. Oops! I think in my head I was already thinking “jump course” and Trainer was thinking “single jump.” So on that mistake I went back and rode what Trainer had intended. It also rode smoothly. Trainer left it up to me as to whether I wanted to end on that note and I opted to end at that point. It meant that my lesson was slightly shorter than an hour, but it was Casey’s first jump lesson in nine months and she had been so good the whole time that I didn’t see any need to make her keep exerting herself. Trying to keep my now not-broken horse safe! Trainer was super pleased with Casey, and I suppose me as well, and honestly I was too. Jumping Casey now is like riding an entirely new horse. She’s never been so good and so easy to ride. I’m really excited and hopeful for our upcoming months, because I expect that things will only get better and better. Casey has always had raw talent, but she was so hot and reactive that it was a bit like riding a tornado. We weren’t able to work together and communicate, especially while jumping. Not to say that we didn’t improve, but she was not the best listener. At this point Casey is showing that she wants to communicate with me and that she will take my suggestions and aids. I can only imagine how amazingly we’ll be able to jump a course if she retains her jumping talent, but also works with me instead of fighting me. 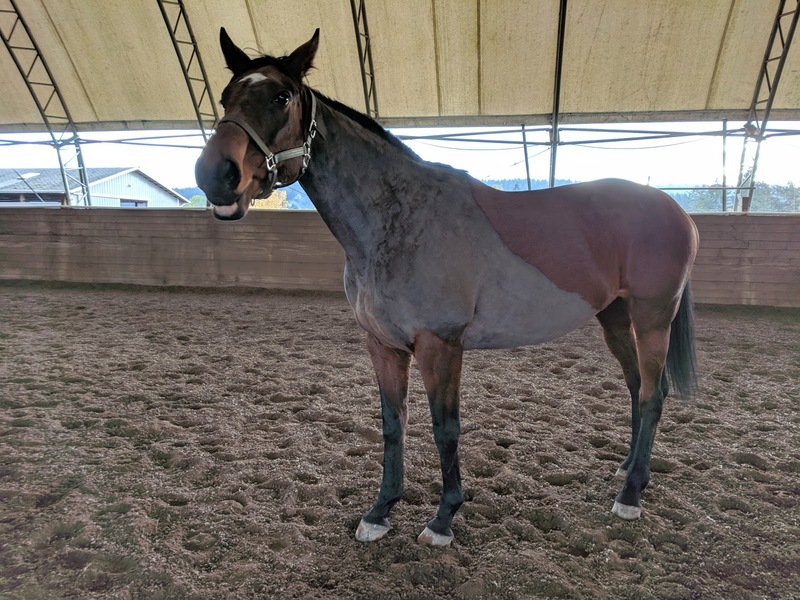 I always joke about Casey being “fancy” when she does cute things, but at this point I’m beginning to believe that she might actually end up being a fancy (aka well-trained + talented) horse. Will she end up being fancy after all? After my lesson I asked my Trainer for her suggested jump routine moving forward. Vet didn’t give any recommendations or suggestions, but I want to get some advice as to how to proceed. At this point Trainer says I should jump Casey twice per week (once in a lesson, and once on our own). Trainer says that for now, when we jump on our own, focus on jumping a single jump and then returning to a walk or stopping. As we take our weekly lesson, Trainer will be able to increase difficulty and height of what we are doing and I will be able to sort of follow along that schedule when I jump without her around. If I didn’t have my trainer around I do think I could do this on my own and set my own schedule, but I’ve never had to bring a horse back into jumping after an injury so I’m not entirely sure what speed to move at. Plus, what’s the point of paying for a trainer if you don’t utilize their knowledge and skill sets? Has anyone else in the blogosphere had to bring a horse back into jumping after a similar type of injury (tendon, ligament, or muscle tear)? How exactly did you proceed? What speed did you move at? After literally nine months... NINE MONTHS!!! Casey has been officially and completely cleared off all injury and subsequent consequences of having been injured. Vet appointment was yesterday mid-day, so of course I couldn't be there. I was super nervous and was checking my phone every minute, because I really didn't know what to expect. At this point I do not at all remember how Casey felt before the injury so I can't really compare then and now. Casey has been feeling really incredibly great under saddle for a while now. We've been doing insanely long and intense flat workouts and she's been staying sound and happy with that, so I had reason to be hopeful. The problem is that after nine months of things taking longer than I thought they would, I was scared to get my hopes up. Right after lunch, I finally received the long-awaited text from my trainer. Vet said Casey looked better than he's ever seen her and we were cleared for both free-lunging and jumping! I've never been so excited from a single text in my entire life! 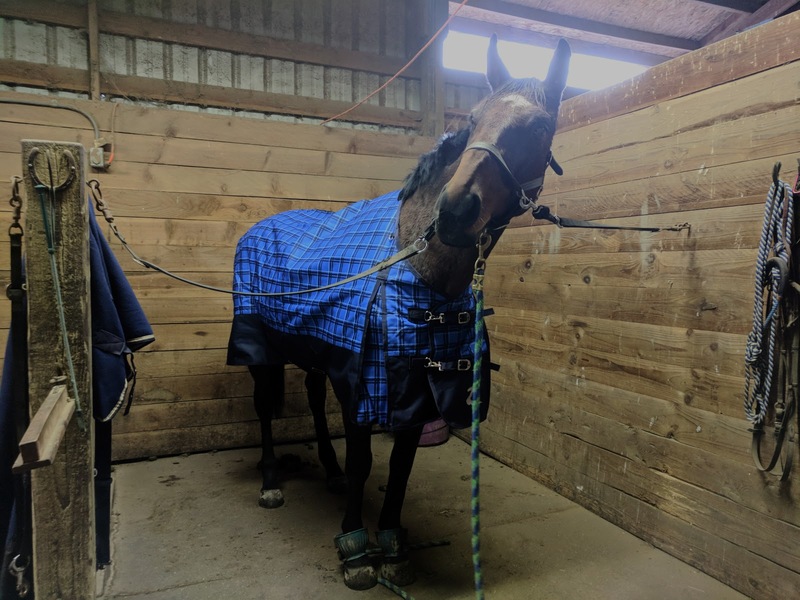 After work I rushed to the barn and finally, after months of impatience, Casey was able to get to be a horse again and be free-lunged. When I led her into the arena and unclipped the lead rope she looked like she didn't even know how to act. Suddenly I presented freedom to her and it's like her little brain couldn't cope with all of the choices. She really wanted to roll, and she really wanted to run, but couldn't make up her mind. Instead she would paw at one end of the arena, then get excited and canter to the other side. Unfortunately for Casey, her brush with freedom was cut short because a lesson was about to start, she only got about five minutes of free time. We have all the time in the world now though so don't feel too badly for her. I hopped back on and Casey immediately knew what the game plan was. She wanted to go over that jump and she wanted to go NOW. I made her trot very nicely and calmly and then pointed her at the jump. On that first attempt Casey definitely was confused about what the "correct" thing to do was. She knew it was a jump, but since I asked her to calmly trot I think she assumed I wanted her to just trot it. I gave her a cluck and with that permission she very slightly jumped it. When she saw she didn't get in trouble for that, the next time around, she went for it. I got a proper jump from her. Maybe not the neatest, but both knees came up and I got a canter after the jump. It probably made her month! With that we changed directions and went over it twice the other way. 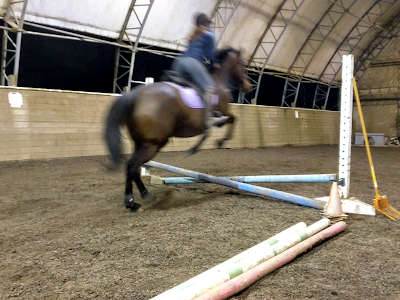 Each time she went over it, her jump became neater and smoother and she was really getting into it. We only went over it four times total, we have to build up slowly after all, but we were both so excited to even do that. What is going on with that left leg Casey? After the jumping I gave Casey and nice cooling-off walk time. My barn friend was hand-walking her gelding, so I hopped off of Casey and just hand-walked her too. It was nice, although Casey kept making nasty faces at the other horse. All in all, it was a really exciting day for both of us! 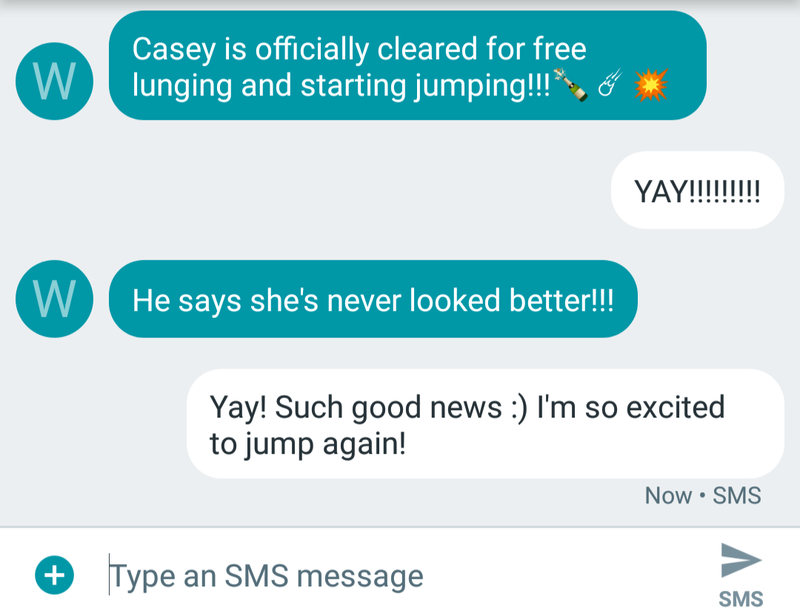 Now that Casey is approved to do everything and anything again our goal is to build up the jumping again. 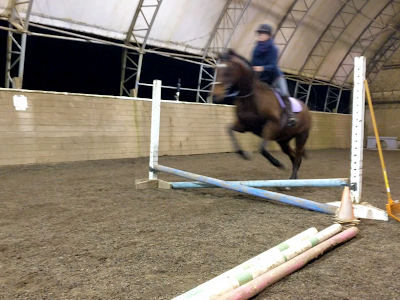 We'll move slowly, because I really don't want to deal with reinjury again, but we'll probably be jumping twice a week. We have our first jump lesson back today! I honestly don't know what my trainer is going to have us do. What can we even do when we are only jumping the smallest jumps in the world? My guess is that she'll have us do some torturous activity like having us stop a stride or two after the jump. Bring it on, because even that torture is amazing when we are jumping again!